Sometimes when you are surfing the internet and found an intersting artcle, image or video and want to share that content with your friends via SMS. Then you have to try the new browser addon Textme. 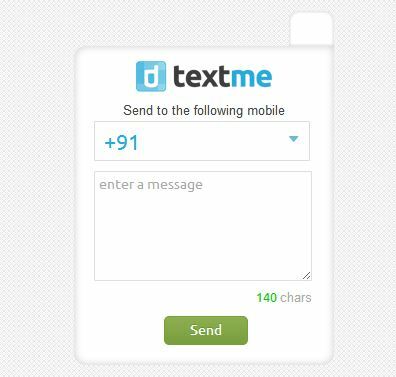 Textme is free addon for Google Chrome, Firefox, Internet Explorer, Safari and Opera which allows you to share web content easily on SMS. So next time when you found an interesting online news articles, IPL scores, videos from youtube, images from facebook, useful links & excerpts, live stock quotes from moneycontrol and more, then use the textme addon to send these contents to your friends or relative mobile via SMS in India. Step 1. 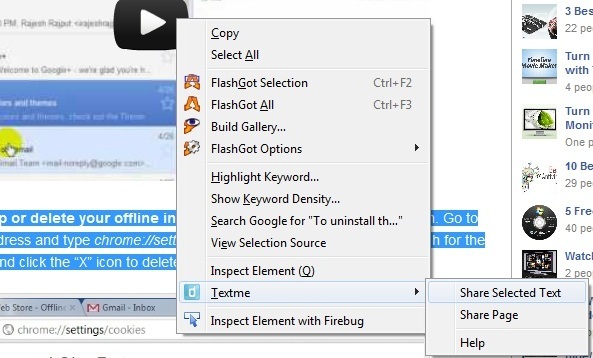 All you have to install the Textme browser addon on your browser, the addon is available for all major web browsers. So visit the TextMe website and install the Addon on your browser. Step 3. When you use TextMe addon for the first time to send a message on mobile device, it will ask you to sign up by entering your mobile number and a password. Also be needed to verify the mobile number by entering the code that is sent on your mobile number. Step 4. After completing the signup process, you are ready to share web content via sms. 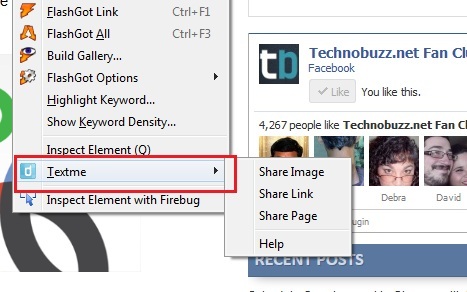 If you want to share some page on the internet you can simply right click on it and share it via TextMe. Same is applicable for images as well, to send the some text or quotes, select the quotes in the window and do the same process to send it as a message. Textme is completely free browser addon and there are absolutely no limits as to how much content you can share. Have a look at the video for more details.